Thank you for playing Age of Conan. As part of our maintenance your account is now flagged to have your characters below level 20 deleted as part of maintenance. Please re-activate your account now to ensure that your characters progress and names stay intact. A Funcom database administrator gets ready to subject your character to "maintenance." As part of our maintenance your account is now flagged to have your characters below level 20 saved as part of maintenance if you resubscribe. Please re-activate your account now to ensure that your characters progress and names stay intact. And then I would have looked at the differences in resubscription rates between those whose message was phrased in terms of losing their character and those whose message talked about saving it. Which of those two messages would you, as a MMO player, respond to more strongly? My guess would be the former, especially if you weren’t the handsome and well educated person you are on account of reading about loss aversion here. Note: A combination of this and my previous post on loss aversion appeared on GameSetWatch. Look for more of my writing to appear there in the future! Yes, an interesting strategy, and also one not very well received by the community. Indeed, given that I found Tortage and the first 20 levels to be the best content in the game overall before I left for greener pastures, if I ever did go back, re-playing those first 20 levels would probably be a joy rather than an annoyance. Not much loss there. I would certainly respond better to the ‘lossy’ message – if only because the word ‘delete’ strikes fear into the heart of an MMO player! However in this example the first thing I would do upon receiving your version of the email would be to log onto the forums for clarification on what it meant. I don’t think the phrase “saved as part of maintenance if you resubscribe” is entirely clear without, while the original email is very clear indeed. We also need to consider the fact that the original email had errors within the dialog (showing another form of ineptitude on Funcom’s behalf), that people even started to believe it was a Gold Sellers email and hackers would steal your password (as it was written with that type of grammar found mostly within the “Gold Sellers” realm). That is the Funcom way! I find the whole procedure downright irritating, full stop. Personally, I’ve never come across it and never want to again. I’m curious, is this in any way common practice? Also, on a sidenote I also would like to thank you for your wonderful website. Like many others who have commented here, I am very interested in psychology and games (I work in the latter industry) and it’s great to see someone combine the two in such an informative and interesting way. Heh, really? I didn’t know that. I’m not sure how common it is, but I’d guess not to common since people are talking about it like it’s unheard of. I’m pretty sure WoW keeps your characters around forever. And glad you like the site! Thanks! FFXI does this too and it has a fatal side effect. FFXI will delete any character even if it’s max level after 3 months of inactivity. Due to this many players don’t ever cancel their accounts. The issue is the amount of players that are forced to cancel for a while and have their characters deleted. These players just never come back. Ever. Even if they wanted to or felt nostalgic, they wont come back. Not even for a free reactivation month. @Starsman: That’s pretty rough. I wonder if they did any testing to see if 3 months was the optimal for getting people to either not cancel or stick around. I stopped playing WoW about a year ago – have 10 level 70 characters, and a few bank alts. I don’t intend to start up again, but right now, because Blizzard doesn’t delete – the possibility *IS* there. If I got such a mail from any MMO company, I would not only not re-sub. I would never buy a single product from that company again. You can kill my babies! But don’t expect me to ever love you again! lol! I do actually have old accounts from Runescape that I thought I would never play again. The oldest one was pretty blinged out but I was inactive for 3 years… I still came back and played it again. Resubbed for two more years, played everyday again, and I recently paid membership again after another year of inactivity. So deleting old characters that have value (not the low level alt ones) would make no sense for MMORPGs. I was toying with the idea to come back, but this email killed any desire to do so. If they going to delete my alts- go ahead, I am not going to touch any of your products ever again failcom! 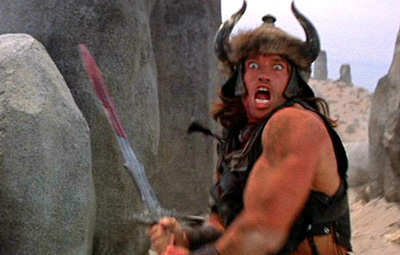 Conan the Barbarian Video Games are just like playing hero! You feel like someone like Genghis Khan or Alexander the Great! You feel High on being powerful!